About the Story: Book two in the Amazon Bestselling Series… Brandy Rhodes is about to enter law school and everything is going according to plan. Until she meets him—the one man in the universe who’s off limits—her best friend’s brother, Aaron. Brandy knows enough to stay away from him, but as the pull becomes impossible to ignore, secrets and lies become part of Brandy’s way of life. And she kind of likes it. Aaron Sullivan has never been one to believe in love. His motto is quantity over quality and that has suited him quite well. After all, love is an illusion and romance is another way to manipulate females into bed. Until he met her—the one woman in the universe who calls his bluff and shows what love can be. But as their love grows, Aaron’s past begins to haunt his future, and right when she needs him the most, he makes a decision that will shatter her world. And she just may not survive. My Thoughts: Brandy was a gal with two wonderful friends, Gabby and Lillian and a very supportive family. Gabby happened to be her boss in a large corporation, a corporation owned by Gabby’s family. The three of them had been in university together, but now were struggling in the real world. Brandy wanted to be a lawyer, but for the moment she had to work. She was quick on her feet, intelligent, with really great looks. The camaraderie between the girls was very warming – the perfect kind of friends to have. I picked up this book because of the narrator, Valerie Gilbert. She has written some of her own books, does narrations as well. Since her books were more like memoirs and sharing her thoughts, I got to know her well. I don’t know if Ms. Boulton created this story for Ms. Gilbert, or Ms. Gilbert hit upon the perfect story for the character resonates very strongly how I view Ms. Gilbert. And it is in first person! Ms. Gilbert is perfectly sarcastic, playing the part of Brandy who is full of snarky humor even about her own feelings, leaving me smirking throughout the listen. She narrates Brandy marvelously, particularly when Brandy talks to herself. I couldn’t help but respect her strength, her wisdom and her view of life. Once Ms. Bolton’s story started heating up with emotions pulling at the hero and heroine, I was totally connected. Experiences Brandy and Aaron faced were heart-achingly real. There was realization of what could have been, learning life can change on a dime and trust is not always easy to grant. Then there is the lesson fear should not govern one’s life. Ms. Bolton left me most satisfied with her happy ever after. I shall look forward to the next in the series, Beyond Reason. About the Author: Karice received an MFA in Creative Writing from the U of W. She has written over twenty novels, and she has several exciting projects in the works (or at least she thinks they’re exciting). Karice lives in the Pacific Northwest with her awesome husband and two cute English Bulldogs. She loves anything to do with snow, and she seeks out the stuff whenever she can, especially if there’s a toasty fire to read by. Follow on Twitter/Facebook/Pinterest @KariceBolton or you can text KariceBooks to 313131 to receive a text from Karice on release days. About the Narrator: Valerie Gilbert is a native New Yorker. A background in acting (plays, comedies, musicals) morphed over time into solo work, including stand-up comedy, autobiographical one woman shows, and storytelling competitions. The transition was then made to writing. As a result, Raving Violet, Memories, Dreams & Deflections: My Odyssey Through Emotional Indigestion, and her latest, Swami Soup, were published. Her writing is non-fiction, intensely personal, with a focus on philosophy, personal growth, and metaphysics, all with liberal doses of humor, her trademark. Yet another avenue of expression became available to her when she started producing her own audio books, first, Raving Violet, then 67 for other authors, as well as her own Memories, Dreams & Deflections and Swami Soup. Valerie now teaches psychic development and personal growth classes at Namaste Healing Center in New York City. She is currently writing her fourth book. Her website is Raving Violet. 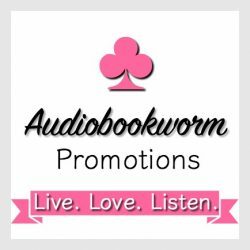 This entry was posted in Audiobook, Audiobook Review, Coming of Age, Contemporary Fiction, Contemporary Romance, Romance, Women's Fiction and tagged Audiobook Review, Beyond Love Series, contemporary romance, Karice Bolton, Valerie Gilbert. Bookmark the permalink. Awesome review! It is next on my reading list and after reading your review I am looking forward to listening to it even more. I am a big fan of Ms. Gilbert’s books and narrations.